The session seemed like the perfect time to bring out my Schecter Omen 8 – particularly since I recently got Seth Mayer to install a Bareknuckle Cold Sweat Pickup and a kill switch on it. For those of you who aren’t familiar with Bare Knuckle Pickups, they are one of the few companies that are making hand-wound (!!) 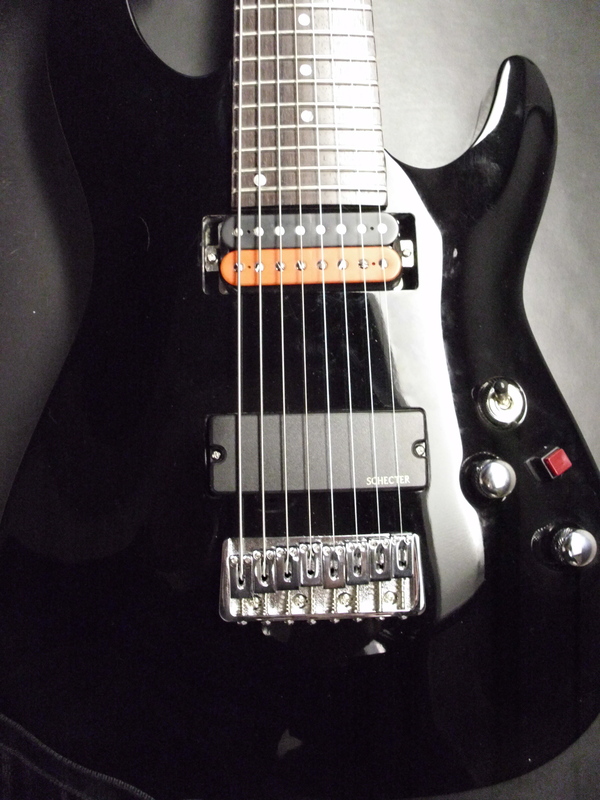 passive 8 string pickups (in addition to their 6 and 7 string line). When I was first looking into this – I sent an email to Tim Mills, to see what he recommended for someone needing a lot of tonal flexibility with a basswood body 8 string and he recommended the painkiller. After reading the forums and listening to a lot of samples – I found that Axe Palace had an 8 string cold sweat neck pickup in stock for $160 and I bit the bullet. The new Bare Knuckle website is excellent and absolutely full of useful information. 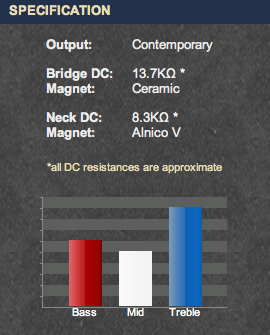 For example here are some specs taken from the bare Knuckle Website. Each pick up now has this information posted so it’s really easy to compare and contrast different pickups and get a good idea about how they’re going to sound. There are some mp3s on the Bare Knuckle Cold Sweat page – but having done some quick mp3s of the original schecter pickups, I thought I would post a couple of mp3s for comparison. Here is a 4 octave B minor scale played with a clean tone ascending and descending using the neck (cold sweat), middle (Cold sweat and stock bridge) and Bridge (Schecter). Here is a 4 octave B minor scale played with a dirty tone ascending and descending using the same pickup order as the clean tone. Here are some clean chords played on the upper strings. 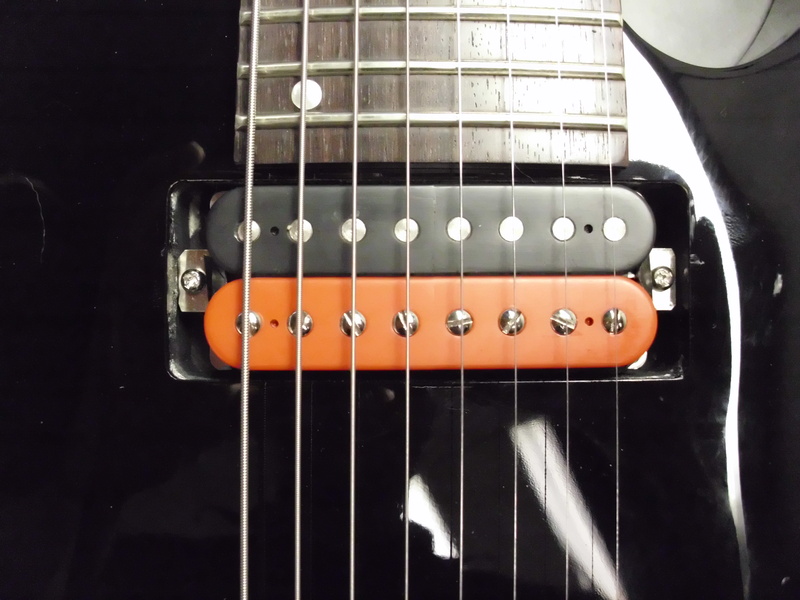 While the pickup allows for a coil tap – I didn’t have have the push pull pot to have it wired for that – but I’m sure that allowing for a coil tap – would give clean sounds like this even more tonal variety. Here is chunk style low end riff. The amp setting here is a little muddy to begin with – so you’ll notice that the Schecter actually cuts through pretty well. And here is the same idea but with the tube screamer turned on. With the added gain – the Cold Sweat takes on more definition. This is a short review, because rather than regurgitate a lot of information that’s on their website – I’d recommend that you go straight to the source and get the full description. For the xbox title – I ended up playing the FNH Ultrasonic and the Schecter in front of a Marshall 4×12 and for leads – the Cold Sweat made the Schecter just scream. The fact that they’re hand wound – is insane to me – in the best way possible. It speaks volumes about the commitment to excellence that BNK has towards its products and tone. This isn’t the cheapest pickup that you’ll ever buy – but it blows an EMG out of the water and comes with a lifetime warranty. Buying a Omen and installing one of these in it – is still cheaper than a Damien Elite – and I think it’s a better sounding guitar. You owe it to yourself to check out what they’re doing. This entry was posted in Gear, Guitar Tone, reviews and tagged 8 string guitar, 8 string pickups, Bare Knuckle Pickups, Cold Sweat Pickup, Mike Reagan Music, Red Lynx, Schecter guitar, Schecter Omen 8, Seth Mayer by GuitArchitecture. Bookmark the permalink. Any word on what the xbox game was yet? I played on some tracks for Mike Reagan for one of the Red Lynx Trials games – but they didn’t end up using the tracks. I tried to see if I could get some mp3s from Mike to post – but there are copyright issues I guess. It’s a bummer – but this happens a lot. I did a full day of tracking for God of War II, and they ended up using only a couple of things. You might have something that everyone’s into – but then it clashes with another element of the score and then it’s got to go. Still it was a blast to do – and I was glad I got to trot the guitar out for it!! Are u playing on Schecter omen 8 guitar???? 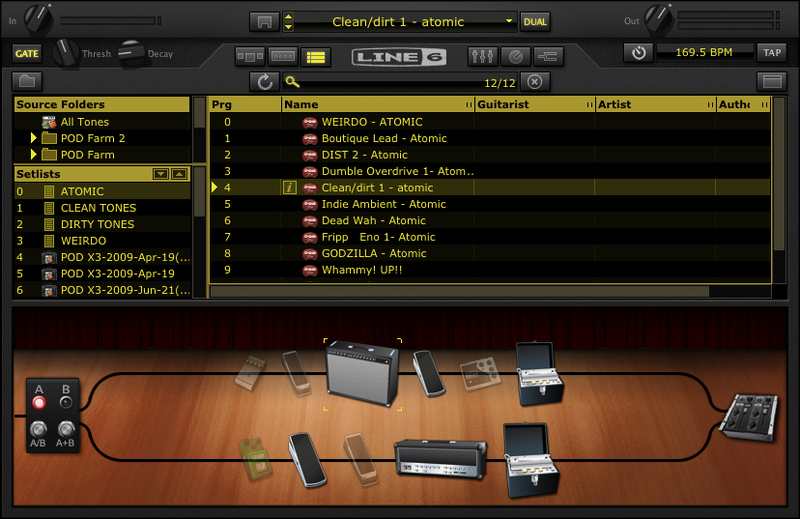 The BKP mp3s are all played on the Schecter omen 8.